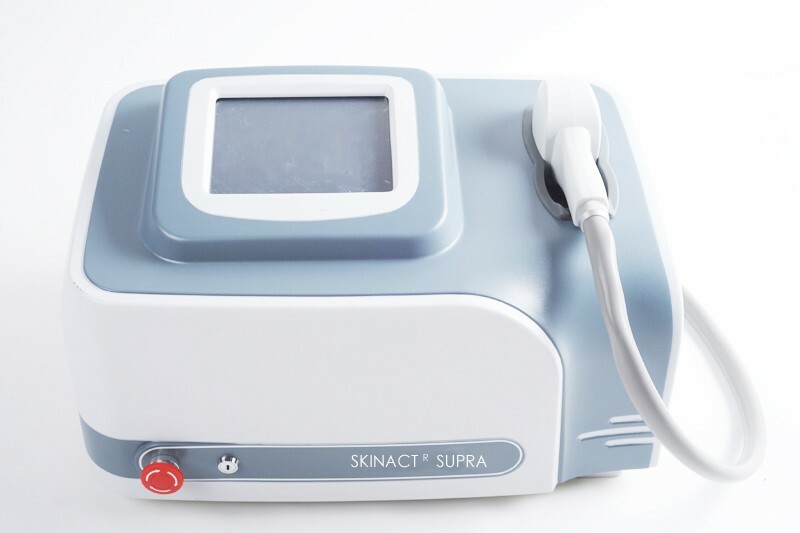 The Supra Diode laser is safe and efficient for hair reduction or removal. There may be some adverse pigment effects, but these are transient. The Diode laser is the best overall laser for all six skin types based on long term use and safety and is especially effective in people with skin types 1 to 4. Another revolutunary item from SkinAct Inc the leading manufacturer of skincare equipments in united states. Unbeatable pricing and superior quality comes with 2 years warranty. What are the advantages of Supra Diode laser hair removal compare to other laser hair removal machines? The Diode laser features a longer wavelength and thus able to provide better results specially among dark-skinned people. 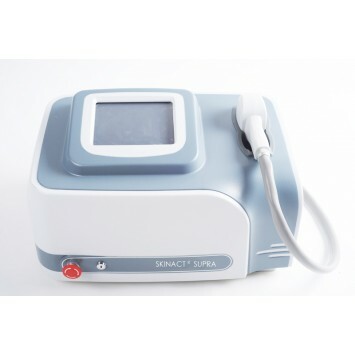 Large spot size 10mm x 12 mm Cooling touch system Strong Wavelength 810nm This laser provides safer and deeper penetration into the skin layer. Large areas of the body tend to recover faster. Ultra Light Handpiece 3 lbs. Ultra Professional Strength & portable size (20"L x 14"W x 15" H) Comes with a Trolly. What are the specifications of the Diode Laser? Wavelength: 810 nm Laser Power: 320W Spot size: 10 mm x 12mm Fluence: 10-40 Pulse width: 5-850 ms, minimum adjustable width is 1ms Energy density: 1-100 J/cm2, minimum adjustable density is 1.0 J/cm2 Shot density: 1-10Hz, minimum adjustable frequency: 1Hz Skin type: I - VI Cooling: Sapphire touch cooling (Cooling temperature < 5c) Repetition rate: 10 Hz (up to 10 shots per second) Handpiece weight: 3 lbs Summary The Supra Diode laser is safe and efficient for hair reduction or removal. There may be some adverse pigment effects, but these are transient. The Diode laser is the best overall laser for all six skin types based on long term use and safety and is especially effective in people with skin types 1 to 4.